Following an audit, the Norwegian offshore safety watchdog, the Petroleum Safety Authority (PSA), has issued a notice of order to Total to fix faults and deficiencies on the Martin Linge project ahead of platform’s departure from a shipyard. Total E&P Norge is the operator of the Martin Linge field, which is located offshore Norway near the British part of the North Sea, about 42 kilometers west of the Oseberg field. 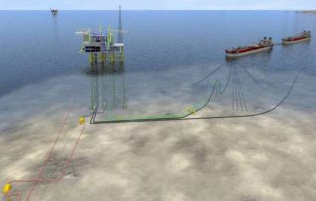 The Martin Linge development plan includes integrated wellhead, production, and accommodation platform with a jacket, in addition to a floating, storage and offloading (FSO) vessel used for oil storage. The start of production, initially planned for the end of 2016, has been delayed and set for 2018. The safety authority said on Thursday that it conducted an audit of the Martin Linge project from March 28-30, 2017. The safety body added that the probe was directed at technical safety, electrical equipment, maintenance management, and Total’s follow-up of technical barriers during the commissioning phase of the Martin Linge production platform under construction at the Samsung yard in South Korea. During the audit, the PSA said it found serious deficiencies relating to areas such as preservation, electrical facilities, and barrier management. These were a result of inadequate compliance with requirements in the regulations as well as with project requirements and procedures which show inadequate follow-up in the project. The Norwegian safety body found non-conformities relating to management regulations on management of health, safety and the environment, the facilities regulations on electrical installations, and the activities regulations on installation and commissioning, procedures, and maintenance program. Also, PSA found that the preservation of equipment and systems, both indoors and outdoors, was inadequate, meaning that equipment and systems were exposed to large quantities of dust, water, particles, impurities, and so forth from ongoing construction and commissioning activities. “The consequences of inadequate preservation during the completion phase would be resource-intensive and time-consuming cleaning and, in the worst case, the need to replace weakened or damaged equipment and components,” said the PSA. According to the safety authority, it could influence planning and implementing commissioning and start-up work offshore. Faults and deficiencies were also identified in the professional execution of electrical installations. The PSA issued the notice of order without a completed audit report because of a short period of time available before the licensees decide on the platform’s departure from the South Korean yard. The order also requires the company to initiate measures which can ensure compliance with its procedures for preservation of systems and equipment which take account of the site-specific conditions. The deadline for complying with this order is May 29, 2017. Also, the PSA must be notified when the order has been complied with. To clarify, an order is an administrative decision and a strongly preventive instrument which is legally binding on the recipient, in this case, Total. Before the PSA issues an order, it usually sends a notice of order to the affected companies which is neither an instrument nor a notice of sanctions. © Kossco - All rights reserved.